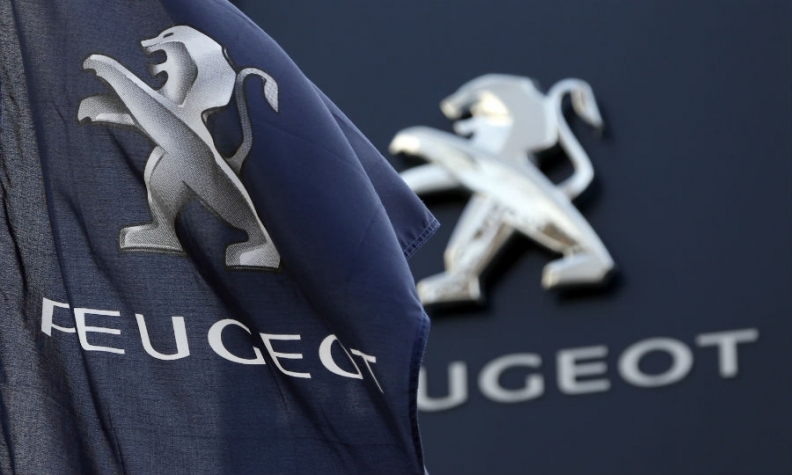 PARIS -- PSA/Peugeot-Citroen's group revenue rose 1.6 percent in the third quarter, but a push to raise pricing failed to deliver higher revenue at its core manufacturing arm. Sales rose to 12.3 billion euros ($15.6 billion) at the group level in July-September. However, revenue at the core manufacturing arm, excluding PSA's Chinese production, fell 0.8 percent to 7.97 billion euros because a push to improve pricing "only partially offset the negative volume and currency effects," PSA said today. Chief Financial Officer Jean-Baptiste de Chatillon told analysts that instead of improving profitability, "a big chunk" of the pricing contribution had been consumed by the slumping Argentinian real and Brazilian peso. New models like the Peugeot 308 compact are being launched at higher prices, with older vehicles discounted more gradually, he said. When combined with sales proceeds from PSA's joint ventures in China with Dongfeng and Changan Automobile Group, automotive revenue rose 2.7 percent, winning PSA some breathing space as it seeks to revive its fortunes. The company today reiterated its goal of positive operational cash flow by 2016. CEO Carlos Tavares said in a statement that the "road back to a full recovery is still long and we should remain collectively focused on execution." Today's release was confined to sales, and investors will get a fuller progress report on Tavares' "Back in the Race" recovery plan when PSA publishes full earnings for 2014 in February. Exane BNP Paribas analyst Stuart Pearson said Tavares deserves credit for an "improving price discipline in Europe that is going unnoticed." He cited a positive 2.2 percent revenue impact from pricing in the quarter. "We expect second-half earnings to again beat expectations," Pearson said. Arndt Ellinghorst, a London-based analyst with International Strategy & Investment, said the boost from the unconsolidated Chinese ventures "doesn't help much." "It will take a very long time for PSA to start delivering tangible earnings," Ellinghorst said in a note to the brokerage's clients. "With the European market trending sideways and Renault replacing the majority of its fleet, things are unlikely to get easier." Sascha Gommel, an analyst for Commerzbank, said PSA's strong product mix in Europe is helping to offset weaker sales in markets such as Russia and Brazil. If European market growth is stronger than earlier forecast, as PSA predicts, it wil help the automaker's capacity use, he said. Deliveries by PSA this year have been propelled by demand for the 308 hatchback, which won Europe’s Car of the Year title at the Geneva auto show in March, as well as the Peugeot 2008 crossover and the Citroen C4 Picasso minivan. PSA's third-quarter global deliveries rose 5.4 percent to 643,600 vehicles, with jumps of 44 percent in China and Southeast Asia and 7 percent in Europe. The company raised its full-year car-market forecast for Europe, while cutting its outlooks for key emerging markets. The company predicts that the European market will grow by 4 percent to 5 percent instead of a 3 percent gain. PSA still depends on Europe for more than 60 percent of its global sales. Russian auto demand will fall 15 percent this year instead of the previously forecast 10 percent, PSA said, and the Latin American market is now expected to shrink 10 percent, a bigger contraction than the 7 percent it had predicted in July. PSA is in the process of eliminating 1,200 jobs in Argentina as part of cutbacks in South America. PSA has teamed up with Chinese manufacturer Dongfeng Motor to expand outside Europe. PSA earlier this year raised 3 billion euros in a share issue that saw the French state and Dongfeng acquire matching 14 percent stakes, effectively bailing out the troubled carmaker. Tavares outlined plans in April to scale back the carmaker’s lineup to 26 models by 2022 from 45 vehicles now and transform the upscale DS badge, which was originally part of the mid-market Citroen unit, into a full-fledged premium brand. The strategy also includes further expansion in China, where PSA already operates three factories jointly with Dongfeng and is building a fourth one.